Promising you optimal customer service and guidance while managing your business and personal affairs. 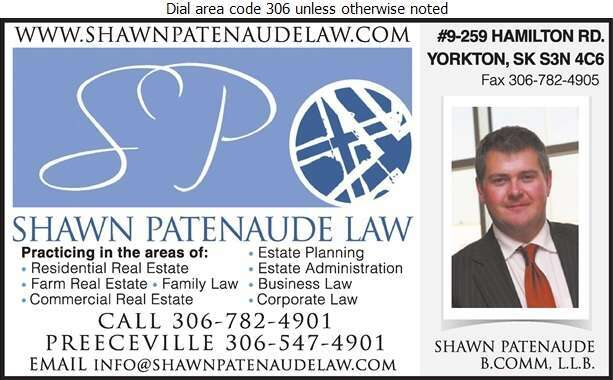 REAL ESTATE: We aim at making buying or selling real estate in or around the Yorkton area an easy task; you can trust our team with all commercial, residential or farm land transactions. CORPORATE & BUSINESS: New or existing business matters? Allow our office to assist you from start-up to wind-up and anyway in between. ESTATE PLANNING & WILLS: We strive to make estate planning comfortable so that you can properly manage your affairs. applying for probate, transferring assets, and winding up estates in a timely fashion. 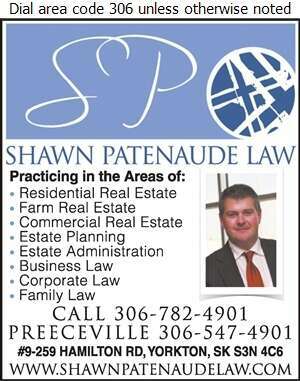 At Shawn Patenaude Law you have our undivided attention.